From little things, big things grow. 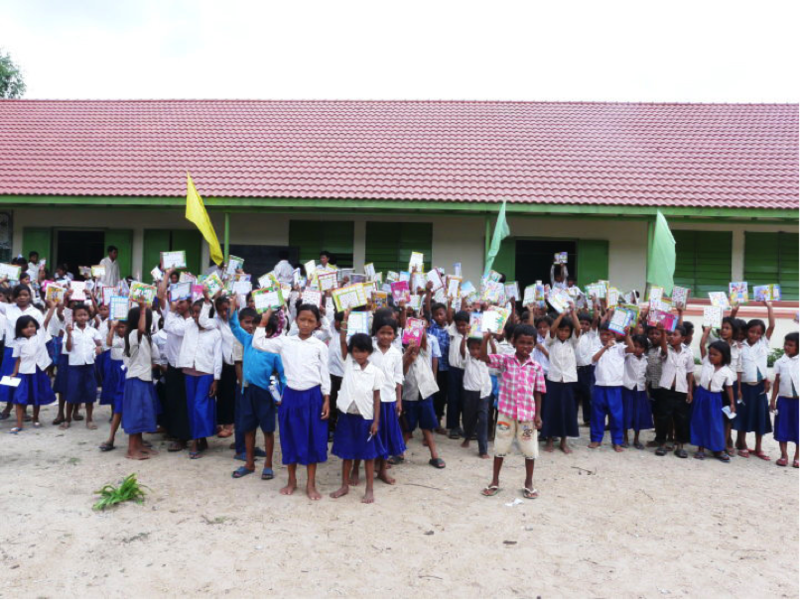 Since BabyTree Projects first started growing in 2007, with the support of generous people across the globe, we have built five schools in rural Cambodia. Discover more about our approach and our story. In 2006, while Koky and Sophia Saly were road-tripping on the coast of Cambodia, Sophia mentioned to Koky that it would be amazing to build a school on a beach. Koky, at the time, off-handedly said that that would be impossible and nothing more was said of it. In 2011 Sophia was diagnosed with cervical cancer. During her eighteen month battle with this disease, when it became known that Sophia would not survive, Koky made a promise to Sophia that the next school they build will be named in her honour to remember and celebrate the way she lived her life and her contribution to making the world a better place. And since they lived their life believe that anything is possible, this school, would be located in a coastal village. In 2013, Koky set out to scout for the appropriate village and land. He spoke to the education minister in Kep and asked if there was any village within their education strategic plan that required a school to be built and was also along the coast. To our surprise he said yes and introduced us to after locations. After assessing the four locations, Angkoul Beach was chosen. What we now have come to call, Secret Beach. Currently, we have some very exciting plans up our sleeves and look forward to making them happen with the community. In the month of Dec 2011 and Jan 2012 a group of BabyTree volunteers went to live and work in Sambour village, Cloud district in Cambodia. The aim was to build a secondary school and conduct workshops as well as build on the relationship we have with the community. We are happy to say that it was an amazing experience. We were allowed to live on the village temple grounds which is a huge privilege. BTP’s second stand-alone school building project was completed in 2010. 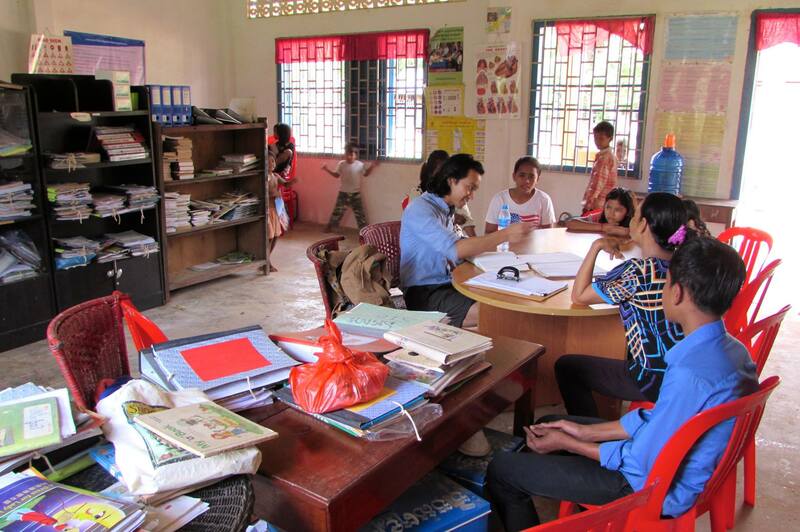 The school was located in Big Hole Village, located Kampong Thom. As well as fully funding the construction costs for the three class-room building, which is used by more than 300 local children each week for lessons, BTP provided land for vegetable gardens, and funding for desks, chairs and other school amenities. Like all of its schools, BTP continues to provide ongoing support for teachers and students and local community leaders. In 2010, BTP conducted dance workshops with 60 of the children in the school. This was a beautiful and incredible experience by all involved. It resulted in a short dance video that has helped us engage people across the world and is titled “Life is Beautiful”. The first school building fully funded by BTP was completed in early 2009. 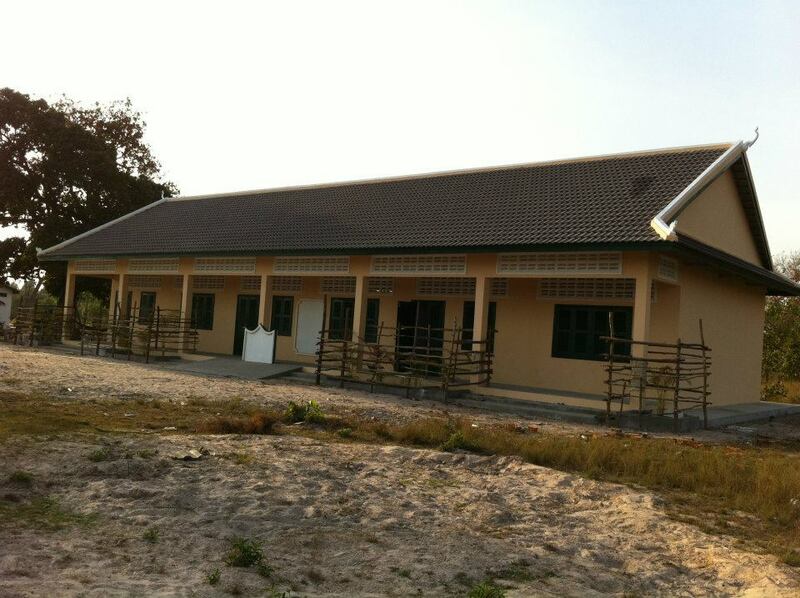 The school was located in Peam Village, located an hour from Siem Reap. As well as fully funding the construction costs for the three class-room building, which is used by up to 300 local children each week for lessons, BTP provided land for vegetable gardens, which are used to feed schoolchildren during school hours and funding for desks, chairs and other school amenities. BTP continues to stay involved with the school, providing ongoing support for teachers and students. The Sophy project holds a special place in our hearts. It was the place where Koky’s mother was imprisoned and where Koky was born. Indeed, the sole reason why this project began at all was because the principal of the school and her family saved the Saly family’s lives when they made their escape from Cambodia during the war in the 1970s. The Saly family never forgot them, and they have never forgotten the Saly family. In 2006, at the request of the school principal Koky and Orphfund built a school building on the school grounds. Since then the school has flourished, trees planted years ago have grown and provide fruit for the children. English classes set-up all those years ago, have resulted in children speaking fluent English with ambitious plans to continue their studies and pursue a career beyond anything they imagined possible. Today, BTP works very closely with Sophy village, and based on this relationship of trust, we know that anything is possible. We cannot wait to report on the future as we follow and support the children and school on their journey. The BabyTree Projects are very unique. They are for a really good cause and I believe that these people will achieve at their overall goal as they have never imagined. Without them there would be so many more that would not survive or would have an extremely hard life.